Sarah Poole has gone viral! Sarah Poole at Priestfield Stadium Today! WIN YOUR WEDDING THIS WEEKEND!!! Whether planning a conference, company team-building day or family celebration, Sarah Poole can offer specialist advice on venue requirements, menu planning and budgeting. Sarah Poole caters for all events. Whether it be for small family gatherings to larger parties or even Corporate luncheons, Sarah has the solution. All food is freshly made by a qualified Chef is fully insured and registered with the Local Council. Sarah, with over 19 years experience will ensure that the Buffet is delivered to your premises and laid out as per your requirements. She can supply napkins and tablecloths if required. Her love for floristry and attention to detail shows throughout all of Sarah Poole’s floral arrangements. By creatively combining colours, shapes and textures along with her extensive knowledge of local venues enables her to use their lighting to compliment all of her arrangements. Sarah Poole’s compassion also allows her to create the perfect comforting gesture during that difficult time when you have lost a loved one. Funeral designs range from standard bouquets to more elaborate designs that reflect your loved ones interests and personality. With over 19 years experience of creating seamless perfect wedding days, Sarah Poole caters for all budgets and wedding party sizes. Sarah became the Award Winning ‘Kent’s Wedding Planner of 2012‘, and in 2013 she was Finalist for Kent’s Wedding Planner of 2013. Sarah Poole is fun, energetic, knowledgeable and passionate about what she does. And she does everything. Unfortunately or rather fortunately, after 16 years with Cobham Hall, in 2011 she was made redundant. 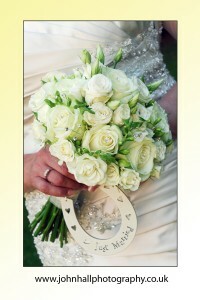 This catalyst gave her the push she needed to create SP Wedding Events.co.uk. Because Sarah’s experience and knowledge of the Event Planning industry, her name has become synonymous with professionalism and dedication. She has made the decision to re-brand and change her website name from SP Wedding Events to Sarah Poole. And why not? It is who she is!